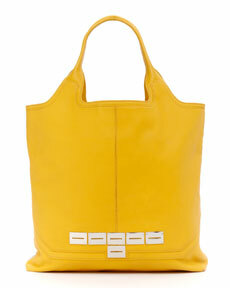 This adorable sunflower Botkier tote so reminds me of summer. And lemons, lemonade, hard lemonade… ok, anyway… since my summer days are usually spent toting kids and their stuff around, totes are a major staple for me. This Botkier Evans Tote even has some edgy hardware so no one thinks I’m just your normal, everyday mom! And it’s on sale at lastcall.com, so I’ll have more to spend on a new bathing suit!